It seems the holiday season comes earlier and earlier with each passing year. The Rockefeller tree even went up in November! With time to ponder, choices are endless and can become overwhelming. For the vigilant gift giver, it’s all in the details. Take a glance below… you are bound to wrap up your list with our fashion favorites! 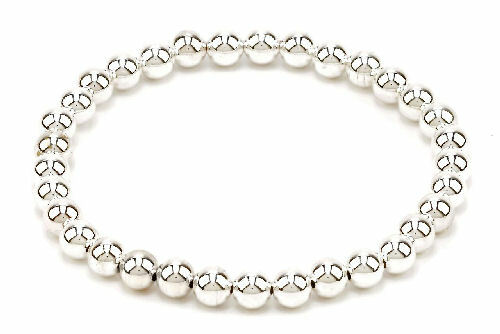 Refined and polished, this stunning trinket is the perfect compliment to any other jewelry piece or wear individually. 5mm 14k Gold, Rose Gold or Sterling Silver Filled Beads. Perfect to use as a stackable, flexible fit when worn. When in pursuit of the perfect present, a memorable memento is often optimal. 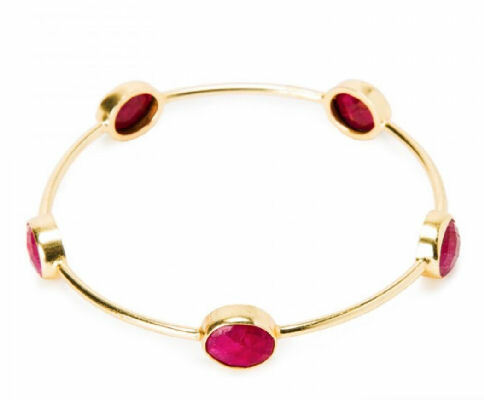 The Bali-Ruby bracelet commemorates the season with complementary colors in its design and elegant construction. 14k gold vermeil bangle bracelet with stationed faceted gemstones. When one stunning sparkler is just not enough! Fitting for any fashionable ensemble. 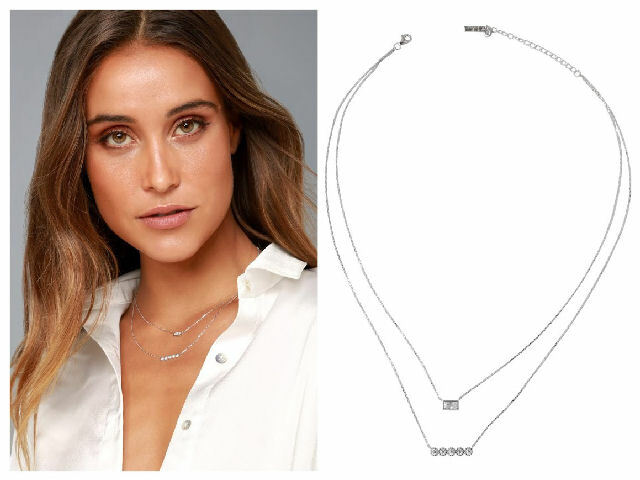 Two dainty sterling silver chains unite to create one piece and accompanied with unique clear rhinestone charms. Shortest chain measures 15.5″ around, with a 2″ extender chain. Talk about multi-tasking with sleek style! This bag is literally all you need. The purse holds all essentials needed for day and night. Simply remove the inner small bag (which doubles as extra storage space) inside for a lighter version equipped with a thinner reptile, removable strap. 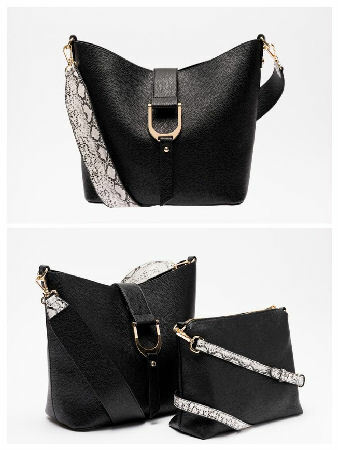 Both bags offer a crossbody option. Fashion and function in one-a quality item! Elegantly designed smooth vegan leather. Reptile Guitar strap in exterior purse and thin detachable strap in inner purse. For the true trend setter, style works in combination with art. 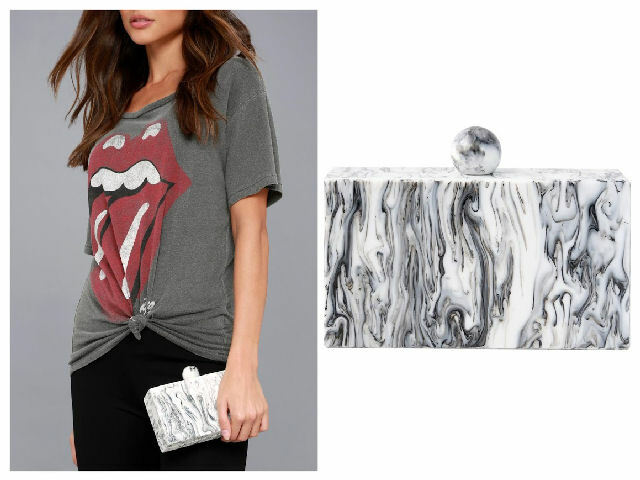 This creative clutch is the ideal inspiration. Acrylic box clutch with a magnetic, round clasp closure. Carry as a clutch or attach the 47″ long silver chain strap. This is not the jean jacket you’ve had as your staple throughout the years. With an urban edge fade and distressed alterations, this jacket is the ultra-update! Long oversized denim jacket featuring heavy distressing. Button up center, front pockets. Made of 100% Cotton. When I think of warm and cozy…I think of this shoe. Nothing I’ve tried is such a fashionable fit yet has me covered in rain, sleet and snow…total winter warrior wear! 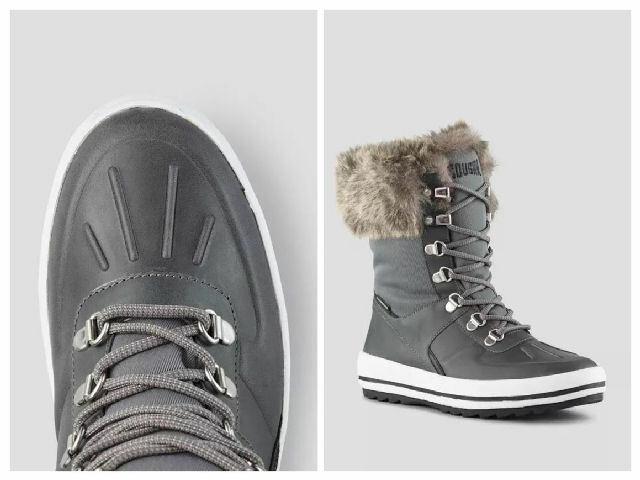 Mid-height nylon snow boot with faux fur collar. Waterproof Membrane System and temperature rated -30°C/-22°F. Anti-slip rubber outsole, memory molded insole. Vegan. Available in Black All Over, Black, Grey, Taupe/Oatmeal. You know when you have those days where you just can’t? You always want to look fabulous but today you need comfort, in addition to style. The answer, south of your ankles is the TI:ME slipper. Ultra-soft leather, suede or wool. The collapsible heel allows a hands-free option for a more traditional slipper fit. Natural wool lining and yoga mat insoles. Shoe molds to your feet in a couple of weeks and can be worn inside and outside. 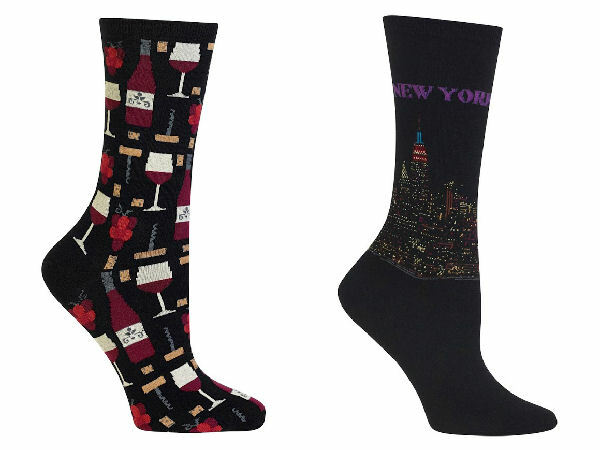 With the holiday season approaching, serious socks are out. Hot Sox offers an intriguing variety of themes for every hobby and taste. The perfect stuffer for Santa’s largest sock! Looking for a bit of seasonal sparkle to add to your lady’s stocking? With the new iPhone 8 and X being at the top of many holiday lists, a case that is pretty with purpose is a necessity. Speck has created a gorgeous new line of Presido Clear cases which are tough as nails. This style comes in pink or gold and a hint of gold glitter throughout. 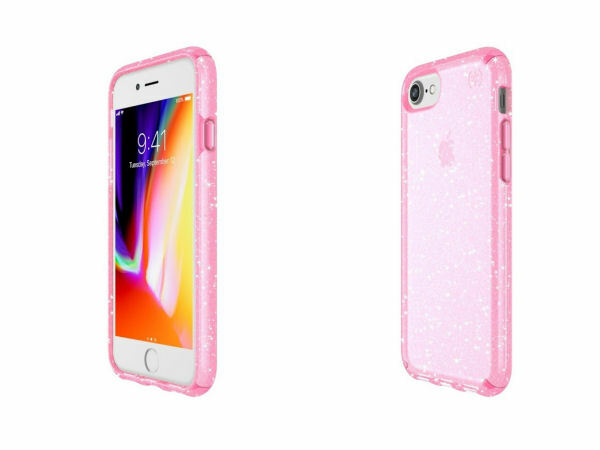 Full two-layer clear case with dazzling glitter crystals. 8-Foot Drop Tested and IMPACTIUM™ CLEAR, Scratch-resistant coating and Qi wireless charging compatible. Available for 6, 7, 8, 8 Plus and X iPhones.